Vibrant and eclectic, and a proud member of Historic Hotels of America®, La Fonda's history can be traced back 400 years. In 1821, Captain William Becknell and his party found their way to the La Fonda during the maiden commercial route across the plains from Missouri, establishing the Santa Fe Trail as well as La Fonda's reputation for hospitality. Throughout the 19th century, La Fonda quickly became the preferred lodging option among trappers, soldiers, gold seekers, gamblers and politicians. The adobe structure changed hands several times as the years progressed, enduring milestones such as the Civil War, railroad expansion and New Mexico statehood, while maintaining its status as a Santa Fe landmark. The structure that guests enjoy today was built in 1922 and features the influence of architects Mary Elizabeth Jane Colter and John Gaw Meem. 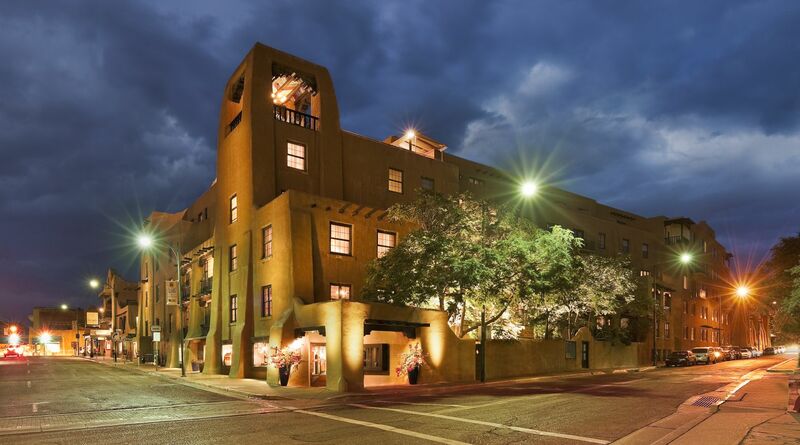 Authentic elements including hand carved beams, stained glass skylights and a 25 foot cathedral ceiling create a romantic aura unique to La Fonda's Santa Fe history. Elements of the original design are still evident throughout the hotel, with La Plazuela situated on the hotel's original 1920's outdoor patio, as well as breathtaking skylights, terracotta tile and hammered tin chandeliers in our event venues. In 1925, the building changed hands again when it was acquired by the Atchison, Topeka & Santa Fe Railway. The company leased the property to Fred Harvey, a gentleman renowned for his keen sense of hospitality. Harvey introduced his own personal touch and made the inn a Harvey House, a hotel chain noted for its high standards, fine dining and the signature "Harvey Girls," a staff of exceptionally well-trained waitresses. Recently, Daggett Harvey, a Fred Harvey descendant, and Stephen Fried, author of Appetite for America: Fred Harvey and the Business of Civilizing the Wild West—One Meal at a Time spoke at La Fonda about how the company supported women and people of color in the workplace and how economic and social forces led to its sale in 1968 and the demolition of so many Harvey House gems. The complete talk can be viewed HERE. La Fonda remained a Harvey House until 1968 when local businessman Sam Ballen and his wife Ethel acquired the property. The property remained in the Ballen family's care until October, 2014 when long-time family friends Jennifer Kimball and her brother Philip Wise along with his firm, Cienda Partners, acquired the property. 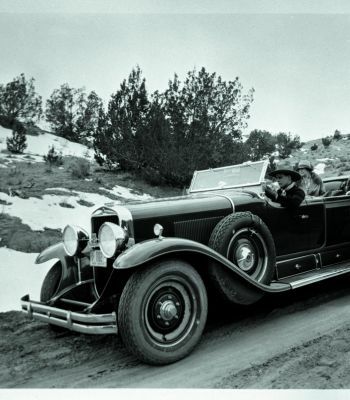 The pair is dedicated to continuing the hotel’s rich legacy of gracious hospitality amid extraordinary surroundings, maintaining La Fonda's position as a prized national treasure, perfect for guests in town for all occasions, from art tours to beautiful Santa Fe weddings. Our history books tell the story. 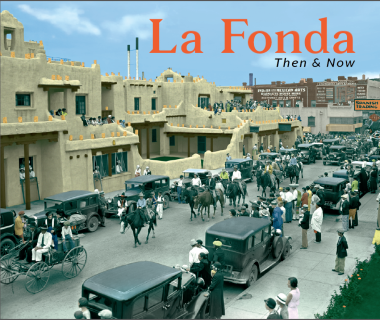 Completed in October 2016, La Fonda Then & Now, is a beautiful coffee table book that chronicles the multilayered life of the hotel, from the early Fred Harvey years to present day. This 224 page book is richly illustrated with vintage archival and contemporary images, many of them never seen before. They depict the same exterior and interior locations and scenes as they have evolved through time. In addition, “La Fonda Then & Now” features reproductions of numerous works in the hotel’s extensive art collection. The book navigates deftly between the decades, each chapter illuminates one of the diverse elements that have shaped the La Fonda experience. Among the contributors are award-winning architect Barbara Felix, New York Times bestselling author Stephen Fried, and acclaimed Native artist Tony Abeyta, whose work graces numerous prestigious museums including the Smithsonian and the Museum of Fine Arts in Boston. These insiders share their unique perspectives on the hotel’s history, preservation, service, food (there are even recipes), weddings, parties and events, celebrity guests and longstanding traditions. 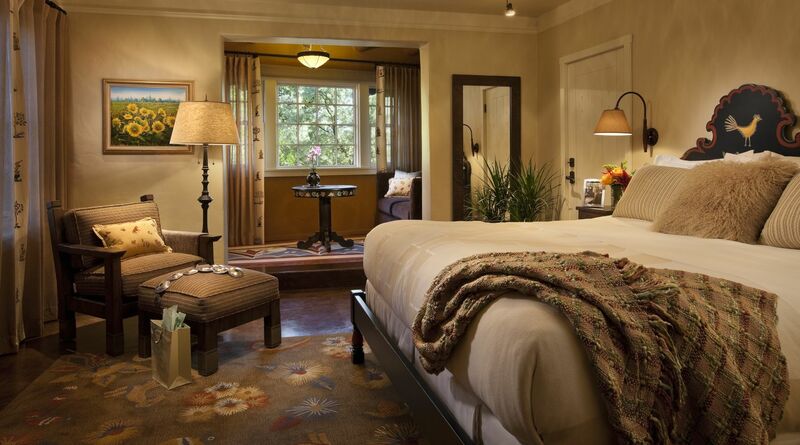 Available now in our signature gift ship, Detours at La Fonda, for $55.00. 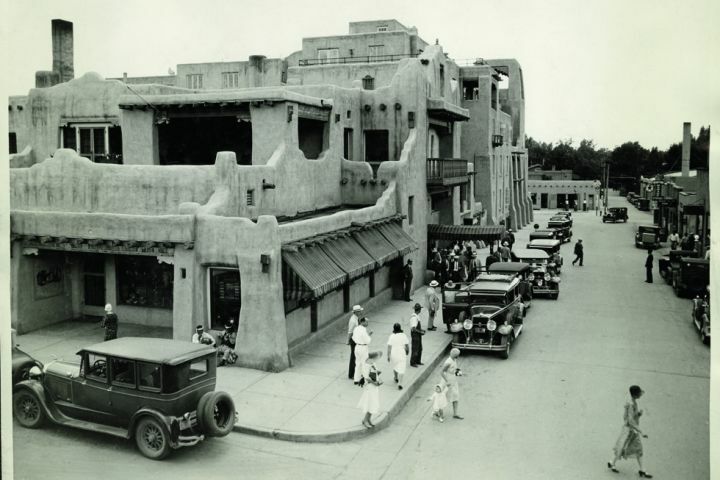 Also available and completed in August 2011, From Every Window: A Glimpse of the Past, showcases the centuries-old history of La Fonda on the Plaza in an engaging narrative accompanied by beautifully reproduced archival photos. This attractive 32-page soft-back book is available in Detours at La Fonda, our gift gallery, for $10.00, or you can read it here online! You can also Click Here to download a PDF to your computer and print a copy. 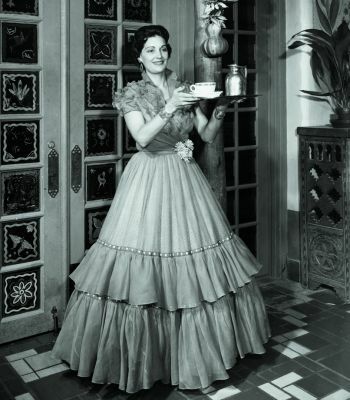 La Fonda on the Plaza is proud to be a member of the Historic Hotels of America. To read more about this organization and its other member properties, click here.